Imagine this scenario: a middle-aged man clutches his chest and falls to the ground in a grocery store parking lot. He's unconscious and seems to be in the throes of cardiac arrest. There are people in the parking lot around him and almost all of them saw him fall. Will someone give this man cardiopulmonary resuscitation (CPR)? Well, that may depend on the type of neighborhood he's in. A new study published Wednesday in the New England Journal of Medicine found that the rate of bystander-initiated CPR varies according to the characteristics of the neighborhood where the cardiac arrest occurred. If the man in the above scenario collapsed in a high-income, non-African-American neighborhood, the odds that someone would give him CPR are higher than if he fell in a low-income or predominantly African-American neighborhood. Dr. Comilla Sasson is an assistant professor in the department of emergency medicine at the University of Colorado Denver and the study's lead author. She says if a person has a cardiac arrest in a white, higher-income neighborhood, the chance someone will stop and give CPR is roughly 55%. But, "take that person and move that person to the other side of the street to a lower-income neighborhood. Thirty-five percent of people would actually stop and do something. Same person, same cardiac arrest situation ... almost two-fold difference." To reach their conclusion, Sasson and her team reviewed data on 14,225 cardiac arrests that happened outside of hospitals in 29 different areas around the country between October 1, 2005, and December 31, 2009. Among the records they reviewed, 4,068 patients were given CPR by a bystander, which Sasson defined as "any person who was not part of the 911 response team." The team classified neighborhoods as being "predominantly white" or "predominantly black" if the neighborhood population was at least 80% of either race; neighborhoods without that majority were labeled "integrated." Low-income and high-income neighborhoods were distinguished as having a median household income either above or below $40,000. "It didn't matter if you were black or white," says Dr. Sasson. "It mattered where the neighborhood was where you had your heart stop." Why is this happening? Sasson attributes the findings to a lack of education and awareness. She believes most people living in these neighborhoods don't know how to initiate CPR or when it's appropriate to administer it. "If you think about the way we're currently giving CPR training, it's classes for babysitters, trainers ... and they're expensive," says Sasson. Focus group data conducted by Sasson's team bear out those concerns. Residents in some Columbus, Ohio, neighborhoods included in the study where there was a negligible rate of bystander-initiated CPR, said there were safety concerns around helping someone who appeared to be unconscious. How did they know if the person had cardiac arrest or was drunk? What if they were faking, hoping to mug the person who stopped to help them? Could a bystander get in trouble, or get sued, if they didn't do CPR well enough? Sasson says addressing these concerns and teaching people CPR on a community level could go a long way in changing this trend. "We have to get past a point of documenting racial health disparities and get to the point of fixing them," says Sasson. "It is completely unacceptable at this point not to fix this because it's cheap, it's easy and it doesn't take a lot of resources to do." Next entry »Can hormone therapy help protect the brain? Is there a law that protects people called "The Good Samartian" that will prrotect people if CPR that thew are performing on a cardiac arrest person? In my line of work, as a public safety officer, otherwise known as a mall security officer, we all have to get certified in the proper way that we perform CPR. I feel better with the knowledge that I have that I can perhaps save someone's life within the golden hour. "Why is this happening? Sasson attributes the findings to a lack of education and awareness. She believes most people living in these neighborhoods don't know how to initiate CPR or when it's appropriate to administer it." I disagree with this explanation. I think that the main reason why many educated people regardless of race or ethnicity would not give CPR to a stranger is that they would be concerned about health risks to themselves: possible passage of bacteria or viruses from the stranger in case of mouth-to-mouth contact (like herpes virus, human papillomavirus, influenza virus, etc.). However, I think that if people had personal protection CPR masks on them when considering whether to adminster CPR on a stranger, more people would choose to administer it. So, such disease transmission would be my number one concern. My second concern would be getting sued by the stranger if I administered CPR and accidently cracked his/her ribs during chest compressions. I am not sure if Good Samaritan protection still applies in any or all states . Personally, I would administer CPR if the situation required it, but I would probably still hesitate a minute or two before doing it because of the above health and financial risks to me. Hi Cathy while you are spending the minute or two deciding the person dies. You -will- crack ribs. But a cracked rib is a small price to pay for the chance at staying alive. It -will- freak you out a little bit, successful or otherwise. (there is free counselling available in most places, if desired.). But all the same, to give someone another chance to live. To give someone's family and friends the chance to see them again... Or to walk away, and wish later that you had. PLEASE, get trained, as your are most likely to need to come to the aid of a loved one. If the person happens to be a stranger, then they are still someone else's loved one. Wouldn't you want someone to look after you or yours? It may not be successful, but if you don't try, you will never know... And it will haunt you forever. What a terribly flawed study. 55% white bystander CPR versus 35% non-white bystander CPR. Who cares if the 35% offered better CPR with improved survival and neurological outcomes versus the 55% group. I'd rather have 2% bystander CPR with 100% survival then 98% bystander CPR where all they do is press randomly on a body because they don't know where the heart is and have 100% mortality. This articles didn't even look at the survival to hospital discharge or Glasgow Outcome Scale among the groups. even more so, this article also seems to ignore that bystander CPR itself has horrible outcomes with the only predictor of a good outcome being witnessed arrhythmogenic arrest with AED use. Really? You would rather die, than to have someone try? Why don't you think that through a little better... True, the survival rates in any cpr situation are not terribly high. However, the odds of not making it while everyone stands around gawking, are even higher. You want 100%? That's the only 100% bet available in that situation. I'll take even the crudest attempt, over nothing, any day. At least someone would have cared enough to have been willing to try. cathy – I think you hit the nail on the head. I find it a bit odd that this physician (or whoever did) would even come up with the idea of this demographically based study. I also don't get why she thinks CPR classes are expensive. All the classes I know about are free. Everyone needs to know CPR – and it is not expensive to learn. American CPR Training teaches group classes at your location from as low as $16.50 per Student for full 2 year Adult, Child & Infant CPR – any where in the USA! We've used American CPR – they are good – and inexpensive. They also contribute quality information and article at http://www.Safety.com where I am a safety content writer and editor. The choice of photo for this article does not help with the problem. 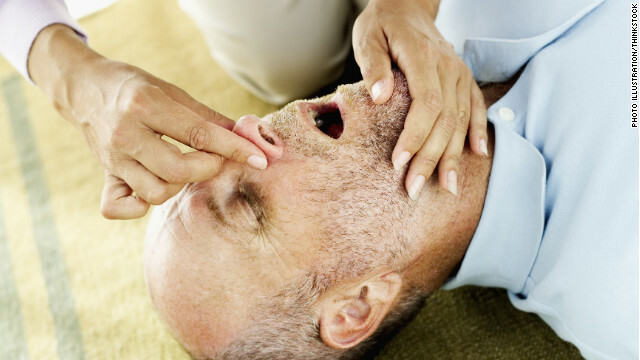 Concerns about giving mouth to mouth have led to guidelines that chest compressions alone are acceptable. They should have a photo or video of chest compressions. I was certified in CPR in 1977 and at that time protocol was 5 compressions to 1 breath if there were 2 people doing CPR and 15 to 1 if you were alone. Now it's 30 to 2 even with 2 people. The original study and this article goes a long way with presenting selected data that tends to support the author's contention: that the primary reason that African-American victims of out-of-hospital cardiac arrest survival rates are low is because those victims don't get CPR from witnesses (which is true) solely because they are African-American (which is not true). The facts don't support this. When you consider that the vast majority (88%) of out-of-hospital cardiac arrests occur in the home, not in public, that would strongly suggest that the vast majority of the victims and the potential rescuers are of the same race but virtue of the fact that they are living in the same home. While it is true that the majority of African-Americans are less likely to receive bystander CPR, it isn't because of discrimination or racial bias on the part of the public rescuer as this study/article subtly tries to suggest. It's because of the barriers to targeted CPR training to these populations which include prohibitive cost, inconvenience, low quality courses, ignorance, fear, apathy, and culture (CPR is EMS's duty, not mine). It is the health care service provider's challenge to remove the barriers of cost, inconvenience, low quality, ignorance and fear. It is the African-American community's responsibility to overcome the apathy and anti-bystander initiated CPR culture paradigm . When African-American family member and neighbor witnesses decide that providing immediate CPR to their own family members and neighbor victims is the right and necessary thing to do, their survival rates will improve.